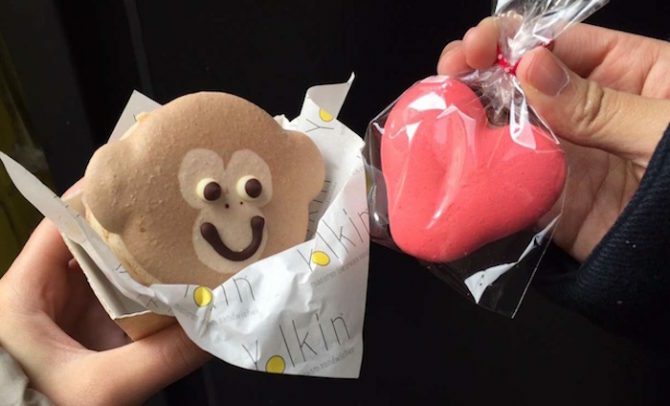 On June 4, 2015, food entrepreneur Sammie Le opened Yolkin, her humble pop-up stand selling macaron ice cream sandwiches in Street Food Union, Soho in London. Just a year later, she has customers queueing for hours in hopes to receive one of her coveted macices, as she calls them. So what’s in a macice? What’s so special about it? And more importantly, why everyone should queue just to get one (or more). The name Yolkin comes from Sammie’s need to find recipes that use egg yolks since macarons only need egg whites. She stumbled upon an ice cream recipe that requires egg yolks so as she continued to bake macarons, ice cream became a sure side. Eventually, the idea of putting these two desserts together happened, creating the ice cream macaron sandwiches. 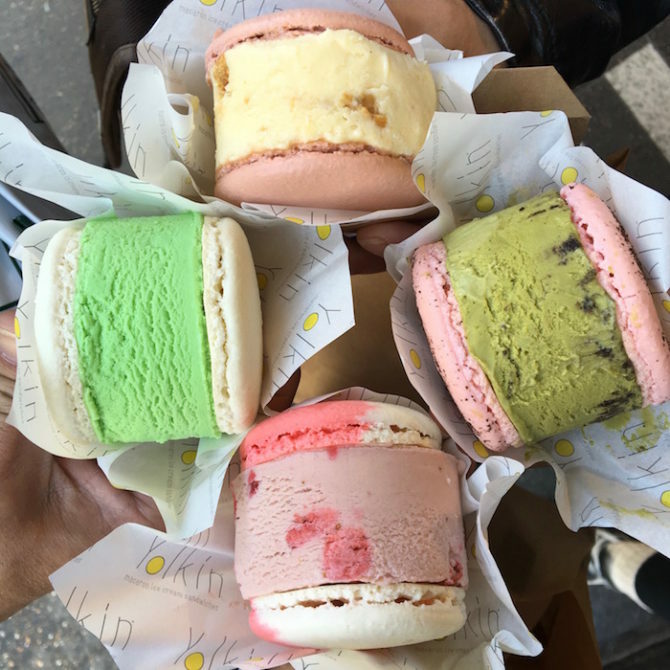 There are so many spectacular things about Sammie Le and the Yolkin macaron ice cream sandwiches. Firstly, Sammie started the pop-up for extra money to support her two children. She’s also a one-woman entrepreneur. From doing everything in her own kitchen to finally expanding to a bigger kitchen, Sammie can only go forward. What makes the macaron ice cream sandwiches so bomb though? Since Sammie’s the only one making them, they’re all homemade. You can literally taste all of her hard work, and it’s so worth it. Alongside that, her ingredients totally take the cake. She uses organic free-range eggs and no alcohol. Plus, her flavors are vegetarian-friendly, and almost all of them are gluten-free. How awesome it that? The flavors are the absolute best part. Sammie creates such wonderful and unique flavors and brings them to life in her craft. Every week she is trading, she has four completely different flavors to choose from (unless it’s a special holiday like Chinese New Year’s or Easter). All priced at either £4.50 or £4.80 which is about $5.10 and $5.50 respectively. Her most popular flavor is her red velvet, but if that’s not for your tastebuds, have no fear. She’s done plenty of different flavors such as black sesame, apple crumble, mint chocolate, and more. #SpoonTip: Go when there are at least two flavors you like or are willingly to try. You don’t want to wait in the queue for so long to only discover that the flavor you wanted was sold out. Now that you totally want one, how does it work? She posts the weekend’s flavors on Tuesdays so that you can mentally prep yourself for which crazy flavor you want. She is only a pop-up at Whaam Banh Mi on Saturdays and Sundays from 12 pm to 4 pm or until sellout. #SpoonTip: Definitely get there early (I recommend thirty minutes before opening) and be prepared to wait for a long time. But don’t worry, it’s so worth it. So what are you waiting for? Follow Sammie on Instagram. 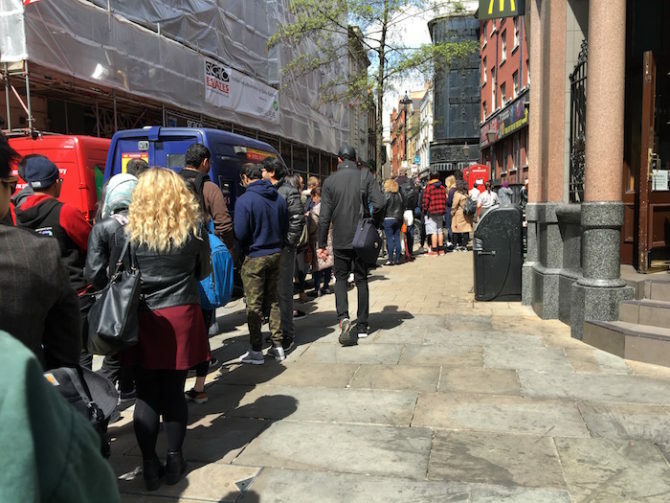 Get on that queue and be ready to immense yourself in complete heaven. You’ll be so glad to be part of this cult. This is a poke stop you really don't wanna miss.